If you choose to create an Account while purchasing, we will collect personal information such as your contact, billing, and shipping information. We use information about you to fulfill your requests and provide services. Other uses include processing refunds or exchanges, tracking and confirming online orders. Your online Account can be deleted at anytime. 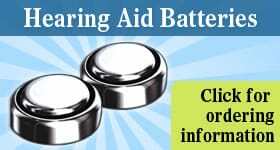 In some circumstances, the Hearing Aid Doctor may share your information with certain third parties to perform services on our behalf. For those of you that have expressly opted in to receive our Hearing Aid Doctor newsletter, you are easily able to unsubscribe by following the “unsubscribe” links included in every email. Without systematically doing so, we may analyze and track the email click rates (times you click on a link in an email) and open rates (the fact that you opened an email) to assess performance rates on our mailouts you receive. The Hearing Aid Doctor may publish a list of Customers & Testimonials on its site with information on customer names and job titles. 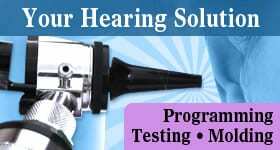 The Hearing Aid Doctor obtains the authorization of every customer before publishing any testimonial on its website. In no case does the Hearing Aid Doctor sell, share or rent out your stored data to third parties, nor does it use them for any purposes other than those outlined in this Policy. The Hearing Aid Doctor collects your personal data for the requirements of carrying out its contractual obligations as well as information about how and when you use our services, and we retain this data in active databases, so long as you use our services. The Hearing Aid Doctor in no way undertakes to store your data indefinitely. 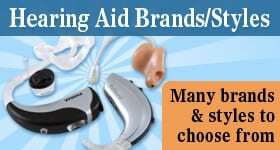 The Hearing Aid Doctor accepts cash, checks, Mastercard, Visa and Discover. We also offer financing through CareCredit and Wells Fargo Financial. Helping you hear speech clearly! © 2019 The Hearing Aid Doctor. All Rights Reserved.